Do your girls enjoy experiencing nights away with Girlguiding? 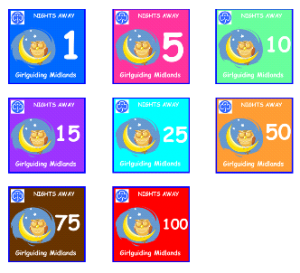 Whether in a tent, hostel, boat or bus, Girlguiding Midlands have launched a Nights Away Challenge suitable for all sections. This challenge can be started at any age and carried through the sections until all 8 badges are gained. From 1 night away to 100, start your girls collecting. The only criteria is they must have completed the appropriate number of nights away at recognised Girlguiding events such as a unit camp or Region international trip. 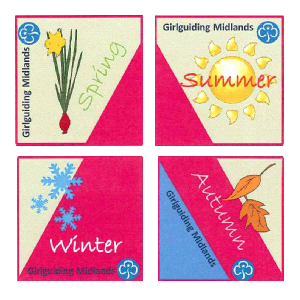 Camp in all four seasons to earn these four badges.